It stems from the tail end of series 9. 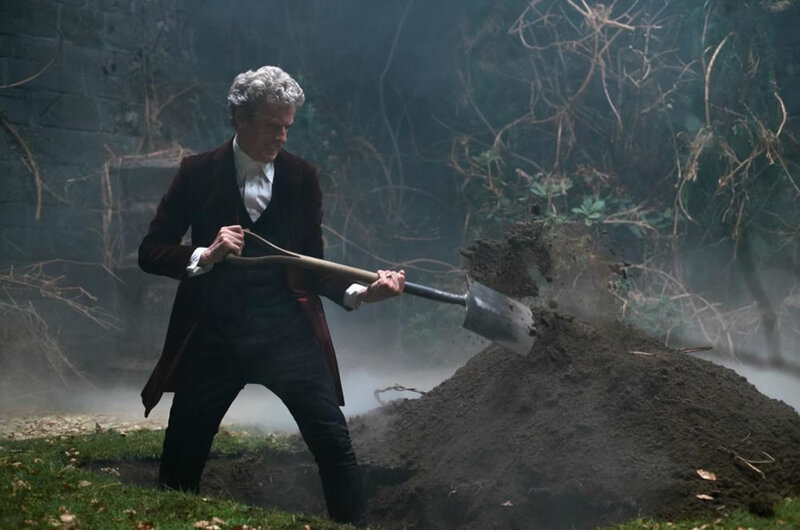 I was in a bad place generally, which didn’t help – but was also fed up with Doctor Who. It precedes a year-long absence for the show that reinvigorated my enthusiasm, to a certain extent; series 10 was certainly a dramatic improvement, largely thanks to Bill. Simultaneously the article (which pre-dates any announcements about the departures of Capaldi or Smith) has a lot to say about holding on to things until they crumble into dust; the fans often don’t know when they’ve had too much of a good thing, and as the Doctor wandered wearily into the TARDIS at the end of Hell Bent, there was a part of me that wished he’d just shut the door and stay there and let the show die naturally. Have I shifted my position since then? Yes. Do I stand by what I said in 2015? Also yes. There’s nothing wrong with embracing your contradictions. Coming soon to a newspaper near you: an article about ratings. Ratings or contracts. Ratings or contracts or BBC cuts. The future of Doctor Who, it seems, has never been so shaky or uncertain. Rumours abound about the prospect of the show being put on hiatus, or cancelled altogether amidst fears of falling popularity and failure to put up a fight against The X-Factor (which seems to be having troubles of its own). Those of us who browse the press and the forums will know that this is nothing new. But the most disturbing thing about the current trend, at least for me, is how little I actually care about it. For the first time in a long while, the prospect of the show’s cancellation, however unlikely (and we’ll get to that), fills me with far less dread than it ought to. It’s a great job, getting paid to write about Doctor Who. I wouldn’t swap it for all the elephants in Mumbai. Is it worth the affront you experience when you receive a critical drubbing from people who’ve missed the point, or (far worse) the heartache and disappointment that bites when a piece is routinely ignored? Yes, it is. Is it worth the long, coffee-fuelled 2am finishes every Sunday morning scribbling reviews and opinion pieces and uploading endless GIFs in order to make deadline and beat the web traffic? Of course it is. Is it worth the torture of having to endure the atrocity that was Before the Flood not once but twice so that I can explain it to my children? Yes, just about. Is it worth the sense of weariness my wife experiences when I persuade her to sit through yet another tedious episode because my reviews are always better when I can feed off her witty and acerbic remarks? Well, you’d have to ask her that, although she’d probably sigh a little bit and give you a smile that speaks volumes. But the problem is that it’s now the writer in me that is pleading for its continued renewal, rather than the fan. Writing semi-professionally about something you love is a dangerous tightrope, and one that many of us walk. I’d hate for it to become any sort of crutch, but writing about Who – in whatever capacity – is one of the few things I know how to do reasonably well, and it’s for that reason alone that I pray that the continuous reports of the show’s imminent demise are nothing more than an exaggeration designed to shift units. Pay particular attention to that word ‘alone’, because it’s where I’ve been going with this. Because the fan in me no longer cares about New Who. Seriously, I don’t. I’m worn out with high expectations that are constantly dashed. I’m tired of the ominous looks that plagued this series whenever Capaldi was alone with Clara, leading to a death scene that lasted seven minutes longer than it should have. I’m tired of the mysteries and arcs and things that are supposed to be important and the stupid tendency the show has now to make great, bold affirmations about why the Doctor left Gallifrey / grew up scared of his own shadow / bought a new toaster when it doesn’t actually matter. I’m tired of inconsistent writing and good ideas squandered. I’m tired of humourless gravitas and awkward, ill-fitting social commentary shoehorned into poor scripts (the Zygon stories were a notable exception). I’m tired of all the sodding electric guitar references (although I don’t dispute that Peter can play). And I’m tired of the cult of smugness that surrounds it: the press saturation and stunt casting and the feeling that this should somehow be BAFTA-standard high drama, rather than lightweight family entertainment. Moffat sits in a different chair to the one occupied by John Nathan-Turner, but ultimately it’s the same situation: outstaying your welcome. The longer he’s here, the more we allow him to do: not content with having undermined everything Russell T Davies achieved (I’m not going to expand on this; if you can’t figure it out it’ll give you something to argue about), he’s now making his mark in other ways, too numerous and obvious to mention here. Somewhere, I’m convinced he has a list of “Things I want to do before I step down”, and presumably if he manages to tick off everything on the list then Mark Gatiss has to buy him a PlayStation 4. Perhaps familiarity breeds contempt. 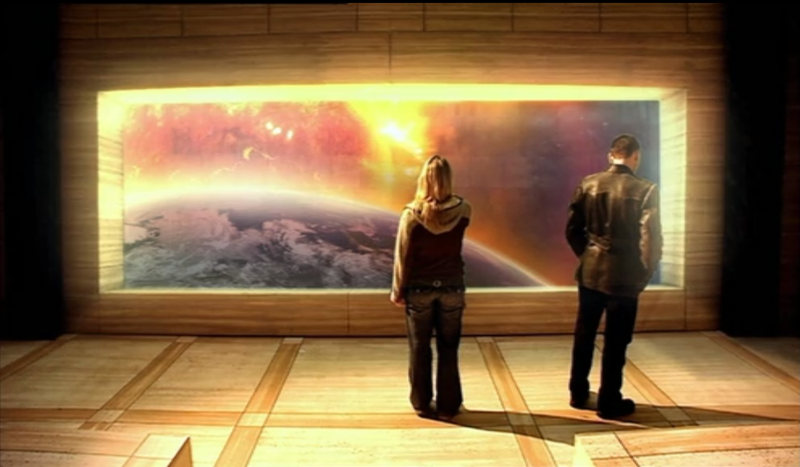 There was a time, not long after the 2005 resurrection, where I’d rebuff any criticism of the show with “Yes, I agree, but it’s Doctor Who. Isn’t it better that it’s back?” There was a time when I truly believed that. There was a time when if asked to choose between episodes like Fear Her and cancellation, I’d plump for the former in a double heartbeat. 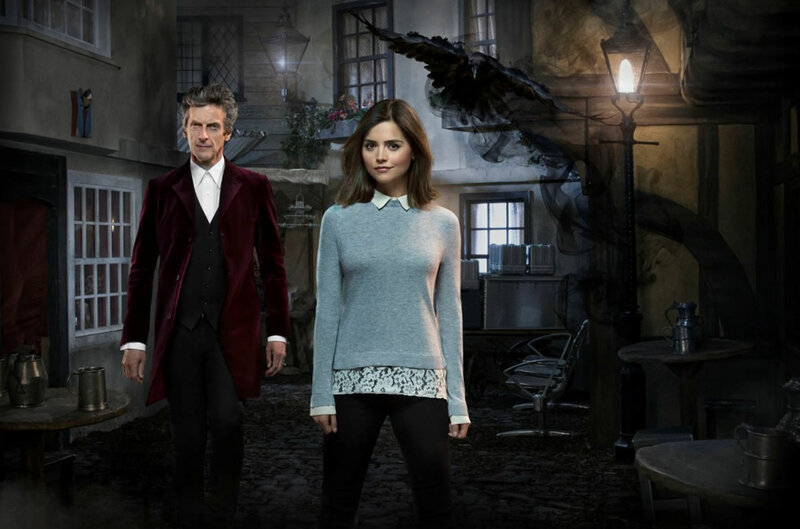 The frightening thing is that if you’d asked me the same question after viewing The Woman Who Lived a few Saturdays ago, or the dirge that was Face The Raven just the other week, I genuinely don’t know what I’d have said. Are stories like this really the best we can do? Is this the height of quality for a flagship programme, for prime time Saturday night television? The fact of the matter is that the years when Doctor Who was not on air were some of the most productive and fruitful in the history of the show. The Big Finish franchise – now a bloated and distorted mutation of its former self – was established in order to make the stories that the BBC no longer wanted, and did it brilliantly. The New Adventures, Past Doctor Adventures and the webcasts all came out of the fans’ desire to fill the vacuum that Michael Grade had created. Oh, not everything worked. (Have you read Eye of Heaven? It’s appalling.) Still, some of the most interesting stories and ideas ever featured in Doctor Who came out of that period. The Americans don’t want Paul McGann? Fine. We’ll give him a whole history. We’ve even got a companion who gets turned into a fish. I once met a Christian speaker who talked eloquently on the matter of dying churches. The crux of his argument ran thus: if churches filled with an ageing population are in danger of becoming empty, perhaps we shouldn’t be so desperate to refill them. If clubs and organisations are winding down, perhaps we should let them. Perhaps Doctor Who is drawing to a natural conclusion that we should allow to happen before it reaches series-too-far territory (a ship which I’m sure many people would argue has already sailed long ago). Perhaps, as the Ninth Doctor famously says to Rose at the close of The End of the World, everything has its time and everything dies. Perhaps we’ve forgotten that. Perhaps instead we’re more concerned that everybody lives, whatever the cost. At the same time, a thought occurs: Doctor Who is probably not going to be cancelled, and in its current form it is not going to change. Moffat shows no signs of leaving; he outlasted Smith and he may well outlast Capaldi. For as long as he’s willing to believe his own hype (in the weekly cries of “Genius” and “OMG BEST EPISODE EVER I AM LITERALLY CRYING BUCKETS!” that frequent forums and Tumblr feeds) then there’s no reason why he should. The rants of old fogeys like me will not shake him, nor should they. I’ll shout into the wind for as long as I feel the need, but I seldom expect anyone to actually hear, and maybe that’s not a bad thing. And truth be told I like a man who stands by his convictions, even if we’re polar opposites in terms of how we approach things. So I’ll keep watching – I have a vested interest in the show’s continuation, after all – and I’ll keep complaining because I’m not a sycophant, I can’t heave my heart into my mouth, and eventually after all this shouting into the wind there is at least a distant possibility that someone is going to listen (just as there is a possibility that an infinite number of monkeys given an infinite number of typewriters will eventually produce a script better than Evolution of the Daleks). At the same time, if the front page exclusive tomorrow morning read “DOCTOR WHO CANCELLED” I think I can say, for the first time in ten years, that I probably wouldn’t care that much. I mean, I’d have to find something else to fill my Saturday evening. But that’s fine. It’s been years since I watched The X-Factor.